The Australian High Commissioner to India, Patrick Suckling put in motion a new scholarship program worth millions of dollars in India to provide the future generation of entrepreneurs, researchers and innovators in India and Melbourne with world-leading academic support and supervision. 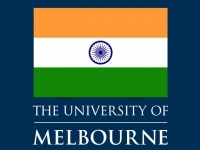 The MIPP (Melbourne-India Postgraduate Program) will link some of the leading Indian research institutes with the University of Melbourne. The Indian institutes like Bangalore’s IISC (Indian Institute of Science) and Madras (IITM) & Kanpur’s (IITK) Institute of Technology will collaborate with the University of Melbourne. The AUD 3 million program is a joint initiative of the 4 institutions and will offer 16 PhD scholarships and associated research exchange support over the next 3 years. Prior to the launch, Professor Glyn Davis, Vice-Chancellor of University of Melbourne said the new program was a useful addition to the already extensive scholarship offerings of Melbourne. Professor Davis said that as a University, they are dedicated to supporting research that has global benefits and impact, and this Program will help advance this goal. By allowing students from Australia and India to undertake collectively developed research of the topmost quality, they are certain the program will focus on shared global challenges in areas of technological, environmental and societal need, added Professor Davis. Beyond this, he said, they are excited that through this program, the students will be provides with the opportunity to support the development of industry, education and cultural links between both countries. Officially, the program will start in 2014 and will be open to students registered in IISC or IITM or IITK will have access to co-supervision with Melbourne academics. Alternatively, PhD students registered at the University Of Melbourne will be co-supervised by staff at IISC, IITK or IITM. Professor Indranil Manna, Director of IITK said the initiative will bring preeminent institutions together. He added that Indian and Australian communities hold great respect for each other, and this is another opportunity that helps strengthen the cultural ties between both the nations.